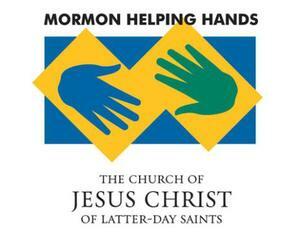 Mormon Helping Hands is the name given to a priesthood-directed program that brings together members of The Church of Jesus Christ of Latter-day Saints and their neighbors to provide community service and disaster relief. The Helping Hands program is driven by the desire members of the Church of Jesus Christ have to follow the example of Jesus Christ and serve others. 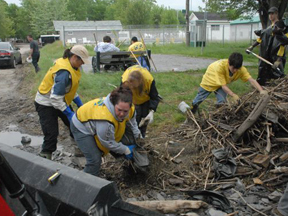 Volunteers respond to needs in their communities and to natural disasters and other emergencies throughout the world. Local Church leaders coordinate projects and resources are supplied from the Church humanitarian services. Volunteers also partner with government and nonprofit organizations to lend support to their communities. The Mormon Helping Hands program began in 1998 in South America, and since then thousands of volunteers have donated countless hours of service worldwide. Yellow shirts or vests identify the volunteers. One of the desired benefits of the Mormon Helping Hands program is to dispel stereotypes and prejudice toward the Church of Jesus Christ and more clearly show that Latter-day Saints are Christians who contribute good to the world. This page was last edited on 4 August 2014, at 14:54.